The perfect pizzaiolo or the pizzaiolo perfection? From Vomero to Megellina seafront, from piazza Plebiscito to the harbor, passing through Piazza Garibaldi and the historic center, every corner, square or street in Naples has a shop with inside a large group of pizzajuoli. 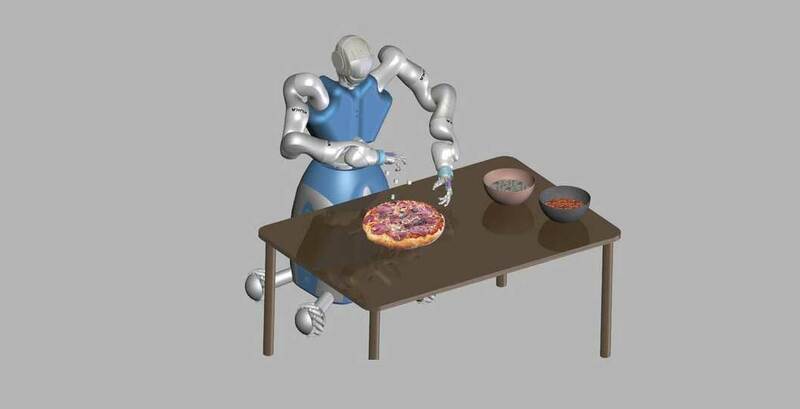 And then one would wonder why inventing a pizzaiolo robot? No, it is not a science fiction movie and RoDyMan will be its name. From the pizza disc stretching to the way to add toppings and bake a pizza even rotating it: it will be able to do all the things a flesh pizzaiolo does, as a human being it will have a head, a body, two arms and two hands. It won’t have legs, but a platform on wheels. Truly Neapolitan as its “father”, Professor Bruno Siciliano, a robotics expert and head of the Laboratory of Robotics Research known around the world “Prisma Lab”, RoDyMan, the acronym for Dynamic Robotic Manipulation, as its name suggests, is part of a larger project on the manipulation of elements in motion. So, it is not a pizzaiolo robot tout court. The aim of the group of researchers from the University Federico II of Naples headed by the professor will be to implement an android with unprecedented manipulation skills able to perform any varied human activities, to the medical surgical field. And why pizza? Nothing is more complex and dynamic than a pizza and making it. Fast and precise movements of an elastic and variable element, perfection in motion. An authentic art and an authentic choreography. “Making a pizza is not a joke and the Neapolitans know very well”, the professor says, jokingly, and he chose Enzo Coccia as a “model” in the demonstration of the skill. Wearing a biokinetic sensorised suite and a 3D motion capture system, the Master will teach the skilled and artistic movements of the profession. Maybe, it won’t be a good-looking employee, but it will definitely be the perfect pizzaiolo: it won’t never complain, never get tired, never get sick and never go on holidays, but it won’t be able to tell if its pizza tastes good or smells good.